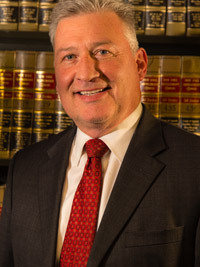 KEVIN G. FALEY became associated with Morris Duffy Alonso & Faley in September 1987 and became a partner in 1994. Mr. Faley specializes in litigation and trial work with an emphasis in construction litigation. He has tried cases in all of the counties of New York City, Long Island and the northern suburbs and has also tried cases in New Jersey. Mr. Faley has published legal articles in The New York Law Journal, The ABA Journal, The Brief, Sky Lines, The Defense Research Institute Journal, The Cornerstone, The Torts Insurance and Compensation Journal of the New York State Bar and The Defendant. He is a frequent lecturer on Insurance Defense topics at Insurance Companies, Bar Associations, Claims Associations and The Defense Association of New York. Mr. Faley was selected to the 2011, 2012, 2013, 2014, 2015 and 2016 Super Lawyers list for excellence in insurance defense. Each year no more than 5% of the lawyers in the state are selected to receive this honor. Ms. Faley has received a rating of AV Preeminent 5 out 5, the highest peer review rating available from Martindale-Hubbel. This peer review is a reflection of both the respect that he has garnered from the professional community and his commitment to providing excellent legal counsel in his specific area of expertise: insurance defense.